See Movies in a Sacramento Gym! 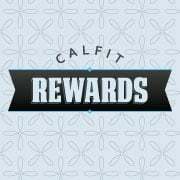 The Cal Fit on K Street in downtown Sacramento shows two movies every day, one in each of the club's two cardio theaters. Raise your heart rate on a treadmill, recumbent bike, or elliptical while enjoying quality entertainment. The movies loop all day, so join us whenever you want to work out and unwind! Due to technical difficulties, we will not have the schedule available for March movies until March 11th. Please check back! Monday, 2/25 The Monuments Men What About Bob?